Welcome to Bridge Street House, our newest Gallery and Boutique Guest House in the heart of Lambertville's business district. In addition to the gallery at street level there are five stylishly appointed guest rooms filled with art to satisfy a variety of tastes. 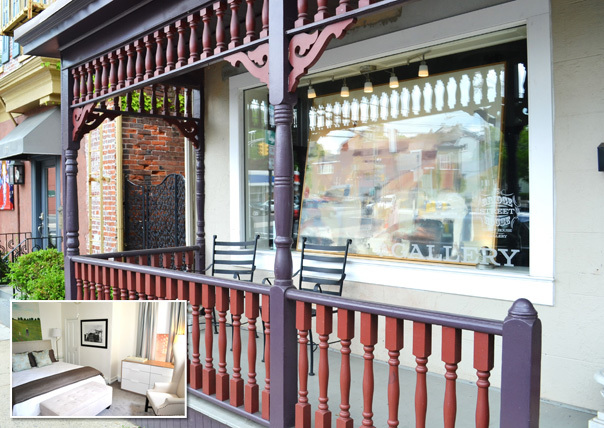 Visit us at 75 Bridge Street on Gallery Row or to book your next stay call 609-397-5900. For our Ocean Gallery patrons, friend and talented photographer Ann Coen has purchased the Surf City gallery. We're happy to announce the M.T. Burton Gallery also in Surf City will be carrying select works by Artist James Steen. Please support these two wonderful galleries on Long Beach Island, NJ.